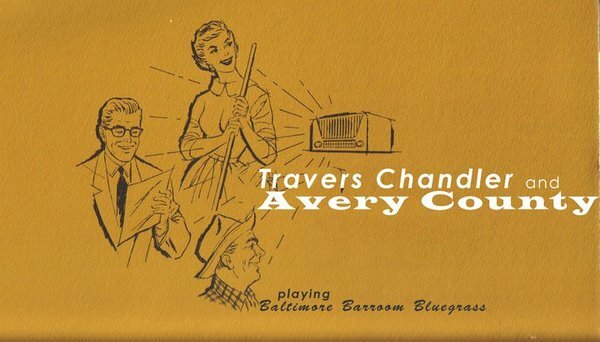 For bluegrass promoters and event organisers: Travers Chandler & Avery County, a young but highly experienced traditional band from Asheville, North Carolina, are seeking to build tours in Canada, Europe, and Australia. Their new album State of depression (released on Patuxent Records in December 2010) debuted this month at #7 on the Bluegrass Music Profiles Albums Chart and is getting extensive airplay in Europe, Australia, and Canada. 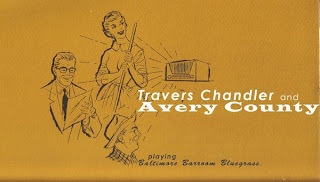 All their members - Travers Chandler (mandolin), Eddie Gill (guitar), Jessica Smith (bass), Tony Mabe (banjo), and Merl Johnson (fiddle) - have worked with today's greatest old-school bluegrass bands including Danny Paisley, Karl Shiflett, James King, and the Bluegrass Brothers, and have multiple IBMA awards among them. A recent performance by the band on the world-famous Wheeling Jamboree can be seen here. Their mission is to deliver excellent bluegrass entertainment through the music of pioneers such as Charlie Moore, Red Allen, Buzz Busby, Jimmy Martin, Dee Gunter and Walter Hensley, Earl Taylor, and many more, together with songs from old country soul singers like Vernon Oxford and Mel Street, and original material that fits the mould. Check out their schedule, promoters' reactions, press coverage, and more on their website and contact them by e-mail or telephone (+1 828 252 4679).